CHICAGO – The term “arrested development” could easily be applied not only to every character in a Todd Solondz picture, but every neurotic man-child currently populating the vast majority of Hollywood comedies. What makes Solondz’s films so distinctive is their unrelenting absence of sentiment. He doesn’t provide his characters with implausible happy endings, but he does view them through an empathetic lens. Solondz’s latest film, “Dark Horse,” observes the potentially repellant character of Abe (Jordan Gelber), a 35-year-old man who is unwilling to put forth the effort to succeed in life. He has an office job, but it was given to him by his exasperated dad (Christopher Walken). He wants to be independent, but still lives with his parents. He asks a sullen woman, Miranda (Selma Blair, reprising her role from Solondz’s “Storytelling”), for her hand in marriage without making any attempt at courting her. He yearns for his dad’s approval, but is unwilling to get his spreadsheets done. Like the ideologically opposed characters in Solondz’s “Palindromes,” Abe’s inability to acknowledge his own faults and hypocrisies results in the stagnation of his growth. As a cautionary fable for college graduates currently attempting to find their financial footing, “Dark Horse” couldn’t be more timely. Abe may be an extreme example of delusional apathy, but Solondz and Gelber make him too vividly human to easily dismiss. Hollywood Chicago spoke with Solondz about the current challenges facing young people, his film’s mixture of dreams and reality and how George Costanza served as an influence for Abe. HollywoodChicago.com: You began teaching at New York University’s Tisch School of the Arts in 2009. What has that experience been like? 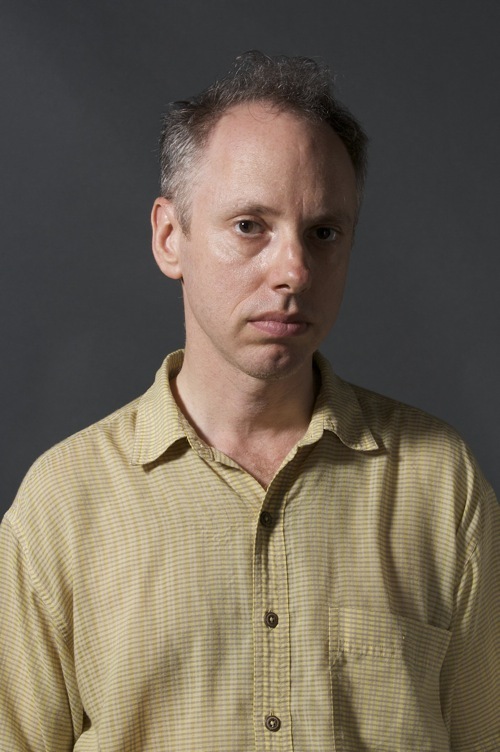 Todd Solondz: I love teaching, it’s a great pleasure. I have no stress while teaching. I see all these young people and it just makes me feel so grateful that I’m not young anymore. It’s just so hard to be a young aspiring filmmaker. I could never go back there. I’m not interested in doing work that doesn’t interest me, but teaching is a pleasure, so I like to do that. Then if I’m fortunate enough to get financing for another movie, I’ll make another movie. HollywoodChicago.com: How has the plight of a young aspiring filmmaker changed since your early years in the director’s chair? Solondz: Well, it’s a different time. In certain ways, because of the technology, you can make movies more cheaply. There is a sense that, “Yes, I can do that, I’m young, I have the ambition and the tenacity and I can somehow scrape together enough money over enough time to make my own movie.” The challenge is to actually find an audience. The audience for non-studio films has shrunk over the years, so it’s very difficult. It’s one thing to make a movie, and it’s another to actually have a career. When people have TVs with a thousand channels and the Internet and Netflix and streaming and pirating and all of that, it’s hard to convince people to go outside when they have so much at home. So it’s finding a way to have any sort of career that is really elusive. To make a movie is possible, but a career is another story. HollywoodChicago.com: Have certain elements in American society served as enablers in Abe’s life, thus assisting in his arrested development? Solondz: [Spoiler Alert] Oh gee, that’s a big question. I’m not an academic. My movies always have an implicit social critique or satire to them, but it’s often more of a side note, a flourish. What is most compelling to me is always the plight of people struggling to find a way in the world. Abe is living a kind of death in life and tragically comes to life only when he dies. I leave it to others to extrapolate what they like. If I weren’t moved by these characters, I wouldn’t put myself through the nightmare of making these movies. I put something of a challenge out to the audience, a kind of gauntlet that’s thrown, I suppose. Here’s someone that maybe you don’t want to have lunch with, maybe someone you would rather dismiss as just abrasive and off-putting, etc. But I propose to you that here’s someone to whom attention should be paid. This is someone who has a pulse, who has a heart, who may in fact be worth caring about. For me, that’s a lot more interesting to try and bring an audience closer to someone whom they would rather write off in real life. HollywoodChicago.com: Does your empathy for the characters make it difficult for you to hear the derisive laughter of audiences? Solondz: It’s complicated. Laughter isn’t this monolithic force, there are all kinds of laughter. I’m pleased if it comes in places where the character of the laughter feels right and I’m disappointed if it doesn’t, but I don’t have so much control over that. People walk in with all sorts of prejudices that predispose them to respond in different ways to the work. If you show it at a Cinematheque or a multiplex, the audiences are going to be different, and the expectations will be different. All of these things have an impact on the way in which you engage with the work. It is all fraught with ambiguity, but that is also what gives it a certain kind of charge, a certain kick. I try to be truthful to the reality that I’m setting up, and I hope that audiences come in with an open mind. HollywoodChicago.com: You had Jason Alexander, Jerry Stiller and Estelle Harris reprise their roles respectively as George Costanza and his parents from “Seinfeld” on the TV that Abe’s parents watch. How did George influence the character of Abe? Solondz: It was something I thought of later. I realized after writing it that [the story] was a kind of counter-life to the George Costanza character, and once I came up with that, it became a point of reference. That’s the entertaining, lighthearted sitcom version, and this is the real-life bleeding version. Selma Blair and Jordan Gelber star in Todd Solondz’s Dark Horse. HollywoodChicago.com: I suspect every college graduate who lives at home while looking for work secretly fears they will end up like Abe. How did you you acquire such meticulous insight into his struggle? Solondz: I don’t know, but certainly I think most people, especially today, live at home after college because unless you’re fortunate enough to come from a certain level of affluence, I just don’t know how you can afford to survive otherwise. To presume that you can find a financial footing so quickly after graduating college seems a little bit excessive. You can live with your family into your twenties, even into your thirties, but at a certain point though, there is a danger that it can develop into a kind of pathology. This is a character who clings to his youth and the dreams and hopes of his youth. Those bright colors that defined his bedroom early on when he was a twelve-year-old were probably designed [by the parents] with a sense of great hope and optimism for the future of their child. Of course, twenty years go by and he’s still living there, and the colors no longer [signify] a bright, optimistic future. They just underscore with a terrible poignancy how sad and disappointed his life has become. HollywoodChicago.com: Why have you felt inspired to continuously explore characters from your previous work? Solondz: It just seemed handy to bring Selma Blair’s character back. I like the idea of, “How can I get these two people together? Is it possible that there would be any connection?” I think a tenuous but real connection is there, and that seems right and compelling for me. I also brought back Jiminy [from “Palindromes”] to show that he found a way in the world after escaping from the Sunshine Singers. But the next movie that I would like to get money for takes place in Texas and doesn’t have any of the characters that have appeared in any of my movies so far. There’s no design to this so-called “career” that I have. It’s just happenstance—whatever I think to write I write and then I see what happens. There’s no grand scheme to it. I like to have fun, and I like to play with certain expectations. When I go to the movies, I want to be surprised, I want to be provoked and brought to places I hadn’t expected. That’s what makes it pleasurable. HollywoodChicago.com: The production notes suggest that your utilization of Abe’s dream world evolved and changed during production. Solondz: No, I wrote the script from beginning to end. It wasn’t like I thought, “Let’s add fantasy later on.” It was in the script. Abe’s having something of a breakdown of sorts, and one way of accessing his inner-life was dramatizing it through these dreams. For me, the most moving moments are in the dream world. That’s where I feel closest to him. I think an audience may feel somewhat unanchored there, much in the way Abe himself may feel. [Spoiler Alert] Whether you’re clear on what’s real and what’s not, what matters most is that the emotional trajectory of those scenes have an inner logic. As long as that’s the case, it’s all viable. Early in the film, Abe articulates a somewhat cynical and juvenile philosophy about how horrible humanity is, and yet the film ultimately serves to undermine this “philosophy.” We discover that [Abe’s co-worker] Marie, in fact, has feelings of tenderness for him. That’s the final turn of the screw. It’s something that was beyond his imagination. I felt all of this cohered in that way. HollywoodChicago.com: Have you felt limited by your status as a “controversial” director? Solondz: I’ve felt a little bit burdened by that. I was very conscientious of the fact that I didn’t want “Dark Horse” to have any of the so-called controversial subject matter in it. But you look at the poster and people have blurbs like, “His most brutal, cruel, funny movie,” while others say, “His gentlest and most endearing.” Who’s right? I just don’t know. ‘Dark Horse’ stars Jordan Gelber, Selma Blair, Donna Murphy, Mia Farrow, Christopher Walken, Justin Bartha, Aasif Mandvi, Tyler Maynard and Zachary Booth. It was written and directed by Todd Solondz. It opened June 22nd at the Landmark Century Centre Cinema in Chicago. It is not rated.